Alon Nashman is a performer, director, creator, and producer of theatre. 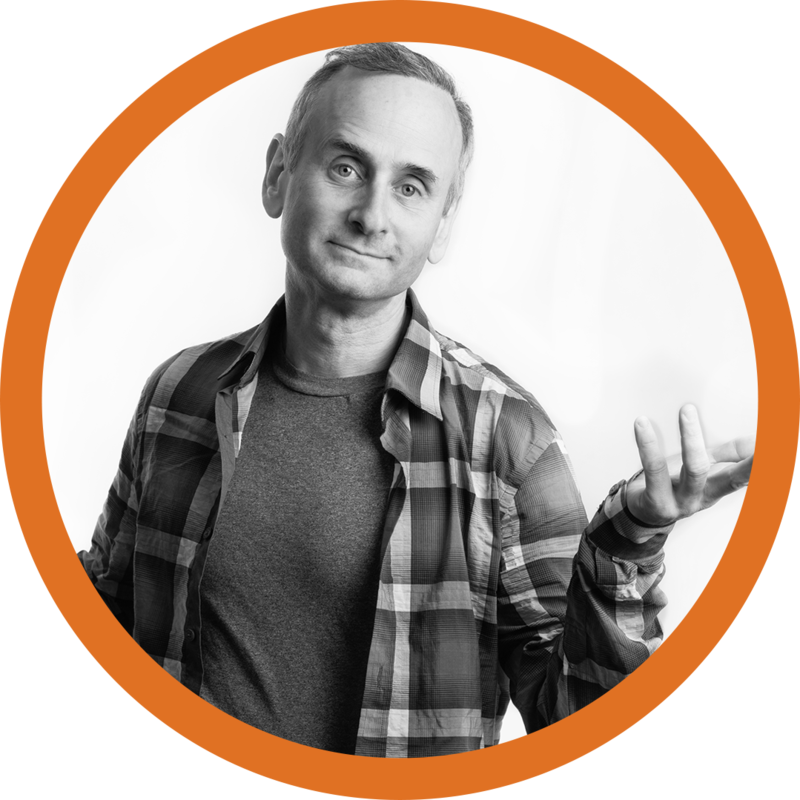 Since graduating from the National Theatre School of Canada, Alon has worked with theatres across the country and around the world. Selected credits include: The Summoned, Much Ado About Nothing, Forests, Scorched (Dora Nomination, Dora Award: Outstanding Production), Democracy, Remnants (Dora Award: Outstanding Production) Alias Godot (Tarragon Theatre), Hamlet, All’s Well That Ends Well, Botticelli in the Fire/Sunday in Sodom (Dora Award: Outstanding Production), Picasso at the Lapin Agile (Dora Nomination), THIS (Toronto Theatre Critic’s Award, Dora Nomination) (Canadian Stage), The Wild Duck (Soulpepper), Hedda Gabler (Volcano / Buddies in Bad Times), The Last Days of Judas Iscariot (Dora Award: Outstanding Production) (Birdland Theatre), Macbeth (Modern Times), This Hotel, Wedding Day at the Cromagnons (Theatre Passe Muraille), Howl (Threshold / Buddies in Bad Times)..., Talley’s Folly, A Midsummer Night’s Dream (Resurgence), If Jesus Met Nanabush (De-ba-jeh-mu-jig Theatre), The Barber of Seville (Persephone Theatre), Easy Lenny Lazmon and the Great Western Ascension (Dora Award: Outstanding Production) (Go Chicken Go), Reading Hebron, A Short History of Night, Restitution, and Singapore (Factory Theatre), Hirsch, None is Too Many (Royal Manitoba Theatre Centre), Hotel Loopy (Theatre Columbus), The Hobbit (Young People’s Theatre). 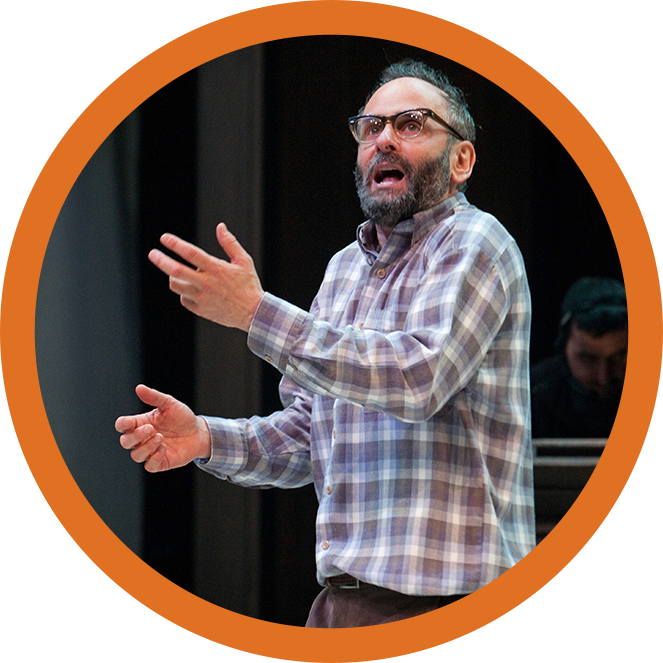 Alon was a principal actor/director with the “Shakespeare and The Queen’s Men Project” at U. of Toronto, and Narrator/Storyteller in Tales of Two Cities with Tafelmusik Baroque Orchestra. Theaturtle was established by Alon in 1999 to create essential, ecstatic theatre that touches the earth and agitates the soul. Under the banner of Theaturtle, Alon has been involved with the creation, production and touring of numerous theatre pieces. Among these are Adam Nashman’s The Song, featuring Alon and Deborah Hay; Wajdi Mouawad’s Alphonse, in the Toronto Fringe, with Theatre Direct and on tour to Edinburgh (nominated for Dora and Brickenden Awards); Kafka and Son, developed with Mark Cassidy of Threshold Theatre, based on Franz Kafka’s “Letter to His Father,” which has toured with acclaim across Canada, to the National Theatre of Iceland, the Edinburgh Fringe, The Hague, Budapest, London, Prague (Outstanding Performance Award), Germany’s Thespis Festival (Jury Prize), the Ankara International Theatre Festival, and twice to South Africa’s National Arts Festival; The Snow Queen (Dora Nominations for Outstanding Production and Performance), scored for string quartet by Patrick Cardy and narrated and directed by Alon, was developed in collaboration with the Banff Centre for the Arts and Creativity. The Snow Queen has been presented by Toronto’s Young Centre, Ottawa Chamber Music, Calgary ProMusica, the Ice Magic Festival in Lake Louise, and Vancouver’s Music in the Morning. In 2009, Alon directed a workshop production of a vibrant new play, Noah’s Great Rainbow by Sam Chaiton, with music by Mighty Popo, Waleed Abdulhamid and David Buchbinder. With Paul Thompson, Alon developed Hirsch about legendary director John Hirsch. The play premiered at the Stratford Festival of Canada, where it was celebrated by the New York Times and Dame Maggie Smith. Hirsch has toured to Winnipeg, Vancouver, Victoria, Edinburgh, and South Africa. Alon is currently developing three projects with Theaturtle, including Charlotte: A Tri-coloured Play with Music, with UK-based scenographer/director Pamela Howard and Czech composer Aleš Březina. In 2017, Charlotte was unveiled at Toronto’s Luminato Festival, and at World Stage Design Scenofest in Taipei. Alon has also had a busy film and television career, with recurring roles on Tropical Heat/Sweating Bullets, The Newsroom, More Tears, Our Hero, Slings and Arrows, and leading roles in award-winning shorts and features such as Mr. Bernstein, Jonestown: Paradise Lost, and In the Presence of Mine Enemies. “To me, this whole project is part of a healing that Toronto can lead the way in." Music and colours swirl in "I send you this cadmium red"
"Weaving together multiple languages and divergent worlds of experience, this powerful contemporary drama probes to the very heart of who we are – or think we are." © 2017 Alon Nashman. All rights reserved. Design by Coffeeshop Creative.